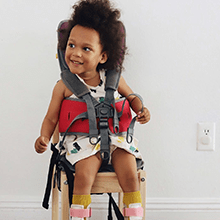 GoTo Seat is a postural support seat for kids with special needs. Size 1 540mm/21" 380mm/14" 260mm/10" 190mm/7.5"
Blue/Purple/Orange GoTo Seat available in fabric only material, red available in Vinyl only material. 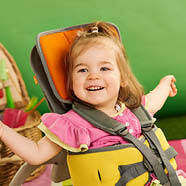 If your child needs more help with their head control the advanced headrest offers more sculpted support. The memory foam is scientifically-proven to distribute kiddo's weight evenly, so they can play (and benefit) even longer. 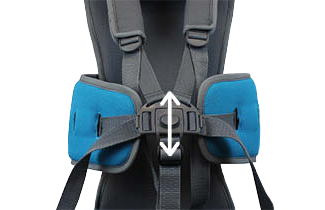 The optional floorsitter has 26 recline positions, from upright (106°) to right back (140°). 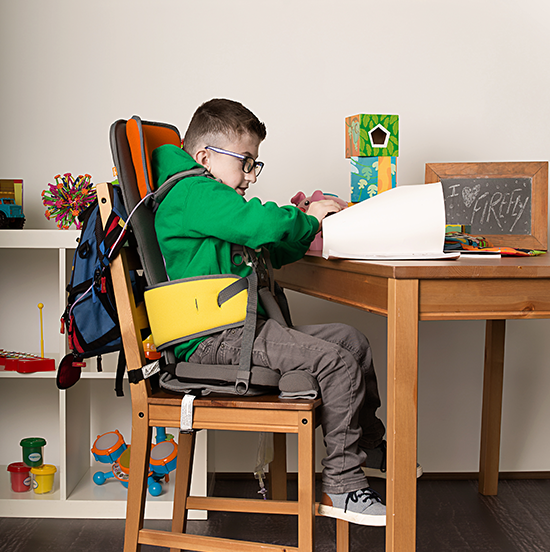 GoTo Seat is a lightweight, portable, postural support seat for children with special needs. 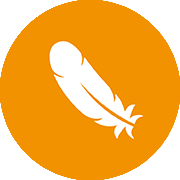 A GoTo makes daily tasks easier, and means kids don’t need to miss out. It’s a little piece of independence that lets kids see the world from a new perspective and feel they’re at the heart of the action. 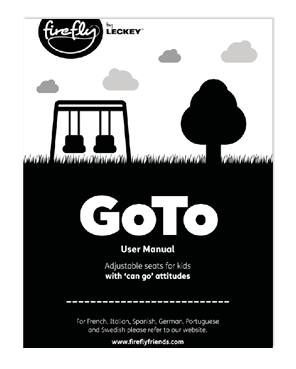 Families worldwide use their GoTo seats in shopping trolleys, swings, planes, trikes, dining tables and so much more. 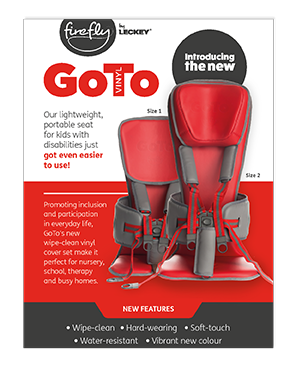 A GoTo Seat makes your daily tasks easier and keeps your little one involved. 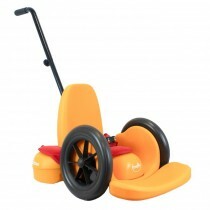 Suitable for children aged 1-8 with a max user weight of 30kg/66lbs. Optional floorsitter has 26 recline positions, from upright (106°) to right back (140°). 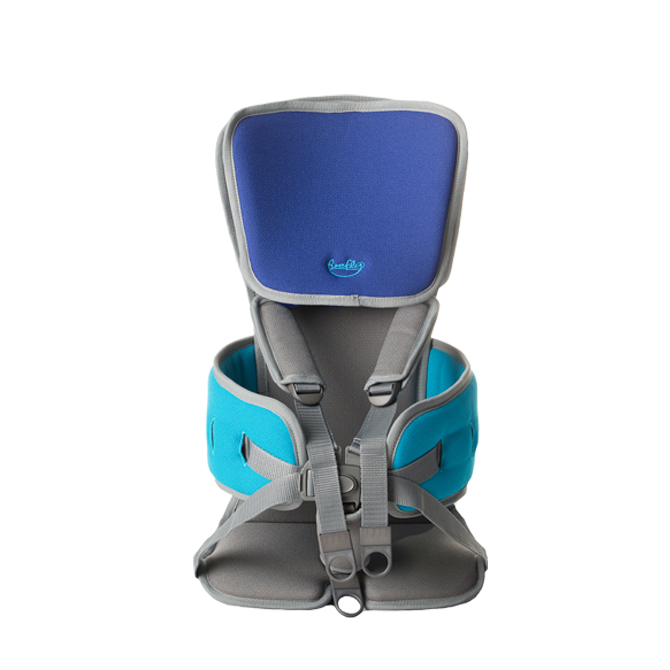 Height adjustable headrest and laterals allow you to reposition your GoTo as your child grows. 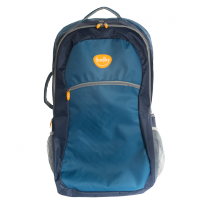 Choose from a range of cool colour combos - Navy/Blue, Orange/Yellow, Purple/Pink. 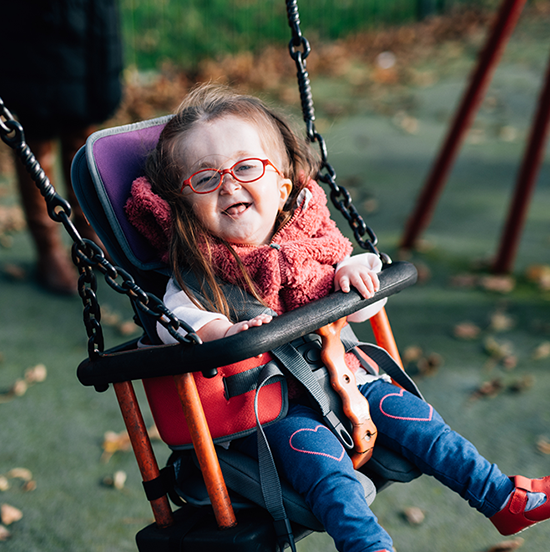 "We're working really hard on sitting independently, the bigger she gets the harder is it for her to control her upper body but everyday she gets a little bit closer." 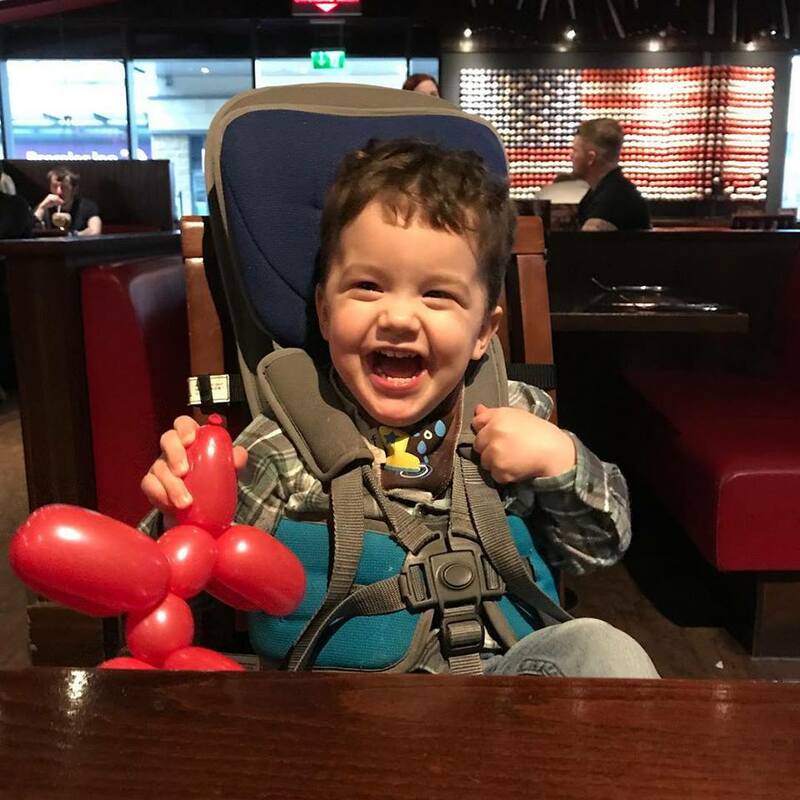 "Wilson enjoyed a meal out with his family with a little help of the GoTo seat." 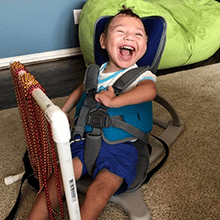 "Kanon usually hates being confined but he has done wonderful with his GoTo seat! Thank you!" "The GoTo seat made our flight so easy! Annalise was very comfortable and supported!" Thank you for making the plane flight so much easier. 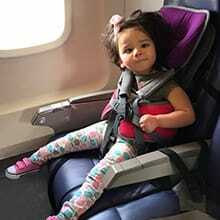 Chiara has been able to sit on her own for the flight!" 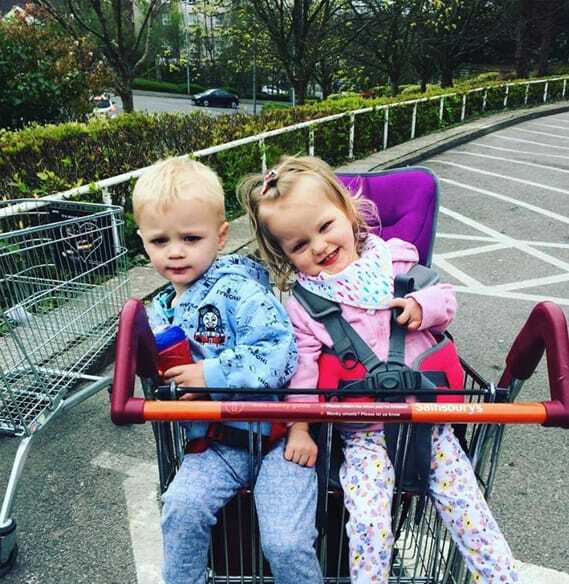 "Violet used her GoTo seat in a trolley for the first time yesterday. They loved sitting together!" This lightweight, portable seat is perfect for taking out and about. It folds completely flat, making it suitable for travelling and can be easily stored for it's next use. 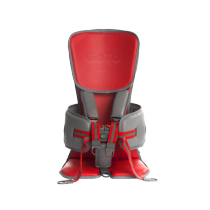 GoTo Seat now caters for more sizes and adjusts to suit your child. 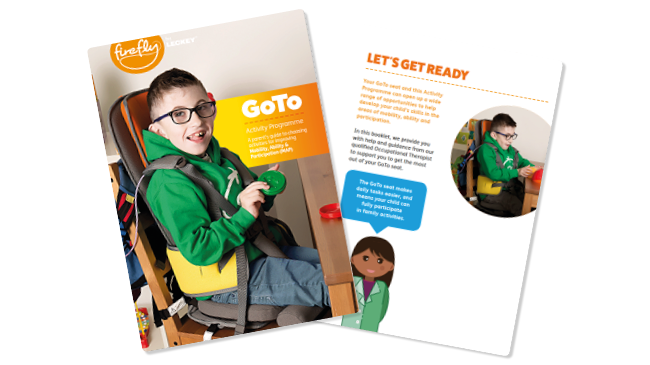 Our GoTo Seat design features; adjustable lateral supports, a choice of headrest an optional floorsitter accessory and a pressure relief cushion. This multipurpose seat can be used in shopping trolleys, on aeroplanes, in swings, for dining out, playing and floorsitting. The opportunities are endless! 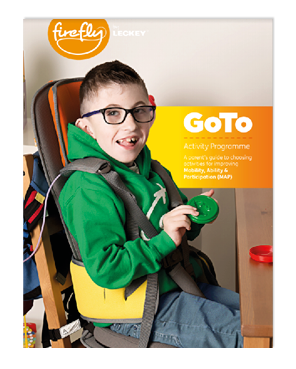 GoTo Seat promotes inclusion and participation in everyday family life. 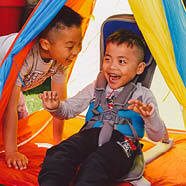 It puts your youngster at the heart of the fun, letting them play on the floor with pals, enjoy picnics in the park and sit in their favourite toy. What makes a GoTo Seat? Your child has a unique personality with unique abilities. 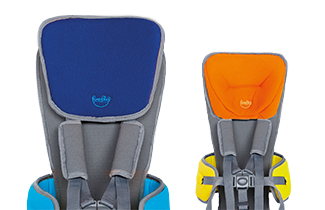 Choose their favourite colours, size, and any accessories they might need, like the Floorsitter or pressure cushion. Pick a standard headrest for simple contoured comfort or the advanced headrest which offers more sculpted support. 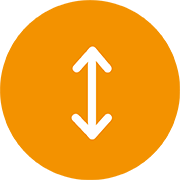 The laterals move high, low, wide or narrow to give a reassuring ‘hug’, while the head support slides up and down to the ideal height. 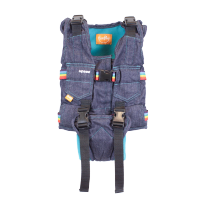 It keeps kids happy, safe and comfy. 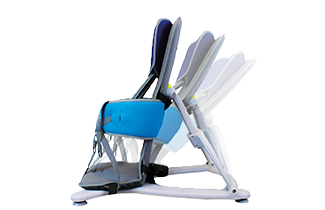 The new and improved Floorsitter has 26 recline positions. 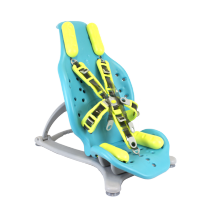 It's ideal for finding the exact level of support your little one needs for playtime or a power nap. 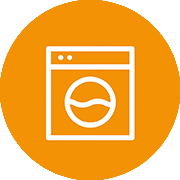 The memory foam is scientifically-proven to distribute your child's weight evenly, so they can play even longer. 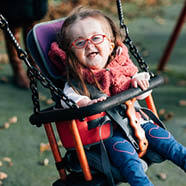 If a child is above 13kg/28.5lbs GoTo cannot be used in a shopping trolley. Size 2 GoTo seats are too large for use in shopping trolleys. 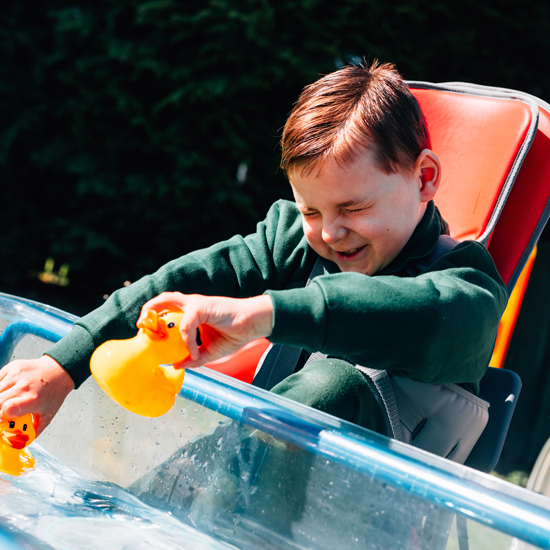 We know from your feedback that the GoTo seat opens up endless opportunities for families to take part in fun activities together. 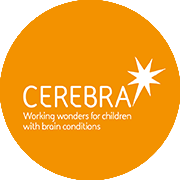 Now, to help you get the very most out of these activities, we've created a GoTo Activity Programme. 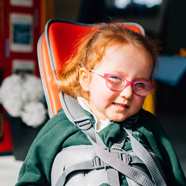 Sitting securely and independently in the GoTo seat gives children the opportunity to develop lots of skills including gross motor, fine motor, visual motor, sensory, social and communication. The seat is very washable. The seat is making it possible for my grandson to sit up in a shopping cart for the first time. It will also be great for a feeding chair. This is a great seat for my granddaughter. It supports her back and allows her to sit straight up. Making life easier for my son, daughter-in-law, and mostly, my beautiful granddaughter. 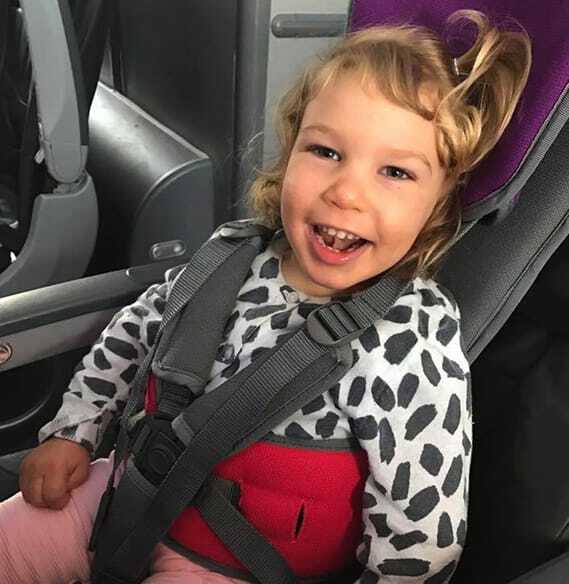 My daughter loves her new go to seat and the fact she doesnt need mummy to sit and hold her so she has freedom to sit and play and feel supported enough to relax.... love firefly!! This seat is very helpful when dealing with a speacial needs child. We love it! Wonderful product! My twins aren't able to sit on thier own. To see them sit comfortably at the dinner table or on the floor to play is the best!! 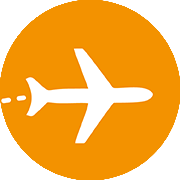 To help you get the very most out of your GoTo Seat, we’ve created a GoTo Activity Programme. 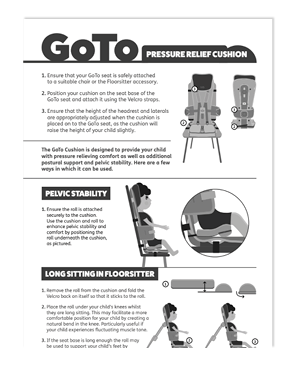 Your step-by-step guide to setting up and using your GoTo Seat and floorsitter. Introducing the new GoTo Vinyl. Perfect for school, nursery, therapy and a busy households. 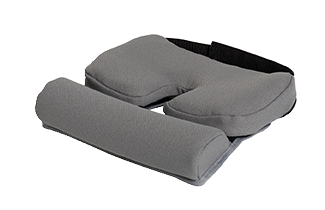 Your step-by-step guide to setting up and using your GoTo Pressure-Relief Cushion.